The Oryx 10GigE camera systems include Full GigE Vision compatibility, packet resend function for reliable image transmission, and IEEE1588 Clock Synchronization for precise timing across multiple devices. These cameras are able to capture 4K60 video with high-quality Sony Pregius global shutter sensors. An included automated optical inspection reduces cycle times with high frame rates and low latency image transfer. For additional information on the Oryx 10GigE camera family, download the sample datasheet. 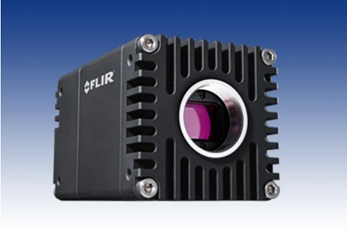 Click here to visit the FLIR site for more downloads.